You can say I owe my passion for photography to my beloved great-grandparents, Cora and James Bennett. My great-grandparents didn’t have toys for me to play with, but they did have boxes full of beautiful images! My favorite pastime was to listen to their stories about their photographs. By the time I reached high school, I took my first photography class. I was hooked the moment I saw my image come to life! 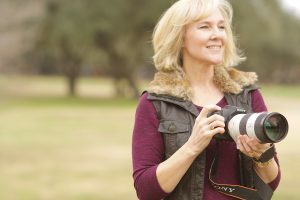 I have worked with several photography studios and put myself through college graduating from California State University, Fresno,CA It was at this time that I met my husband, who also enjoyed developing and photographing images. In 2002, after the birth of our children, I was itching to open my own company and in December of that year we started Time Knot Forgotten Photography,llc. Our mission is to capture your moments and preserve it for a lifetime. I often tell my clients to not only celebrate the big moments in life but the small ones as well. What we photograph today will be treasures of Tomorrow!